New 2017 Keystone Sprinter 359FWMPR RV Review: Luxury RV at 33% Off! 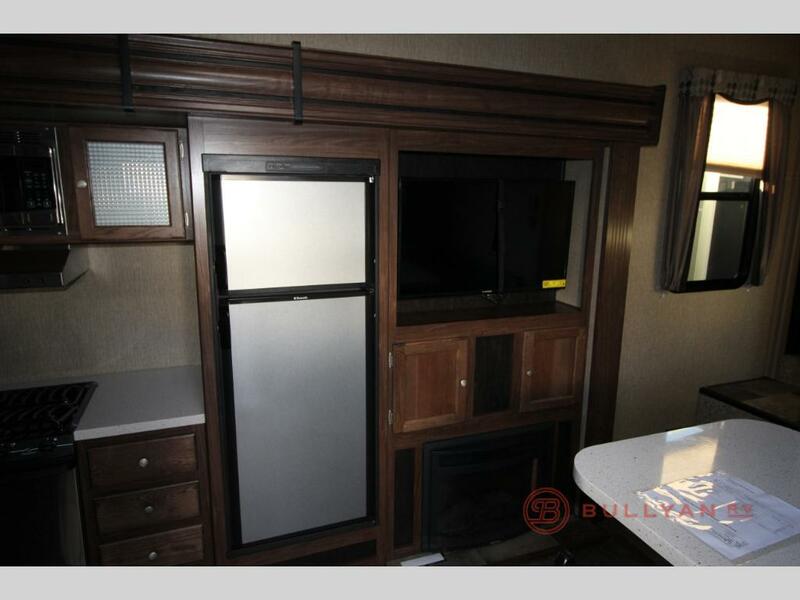 If you need an RV with plenty of room, indoor and outdoor cooking and entertainment, you’ll want to take a look at this 2017 Keystone Sprinter 359FWMPR for sale! 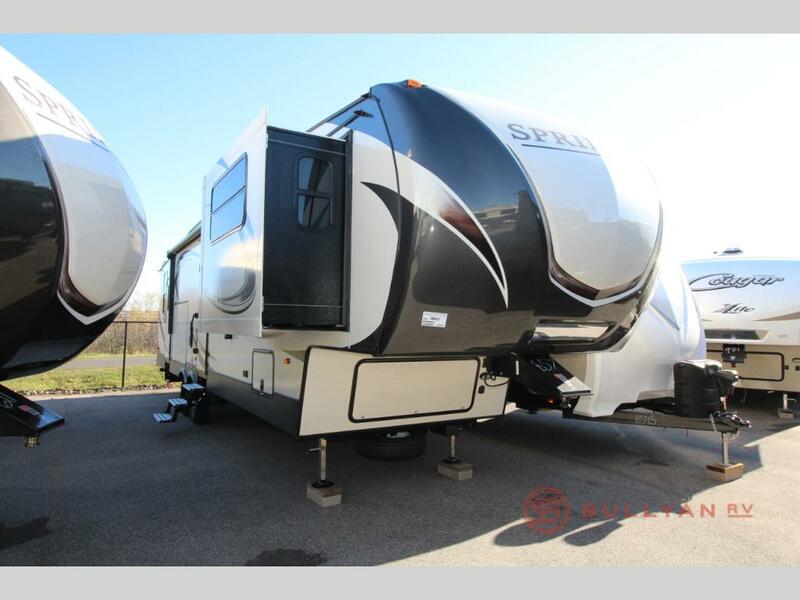 And at 33% off, you can’t afford to miss out on this dual-entry luxury camper with 1.5 baths, four slides, three TVs, and the capacity to sleep seven. When you first enter, you’ll immediately face a large slide out that’s home to a pantry, kitchen, and entertainment center featuring a 40” HD TV and fireplace. To your right, you’ll find a dinette with booth seating on one side and three tall chairs, opposite a large sink and cabinets. 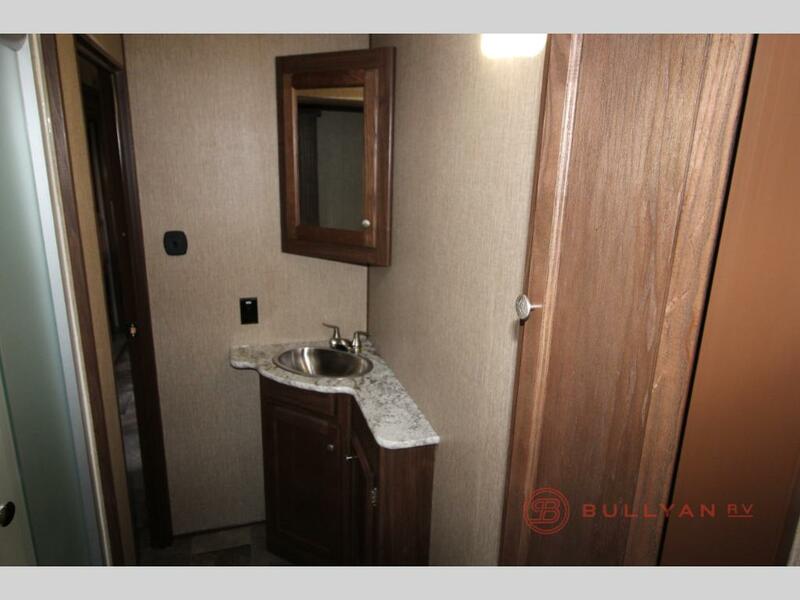 The sink is surrounded by plenty of countertop space, several drawers and cabinets, and easy access to electrical outlets. This bathroom also connects to the primary bedroom with residential queen mattress, dresser, and closet. 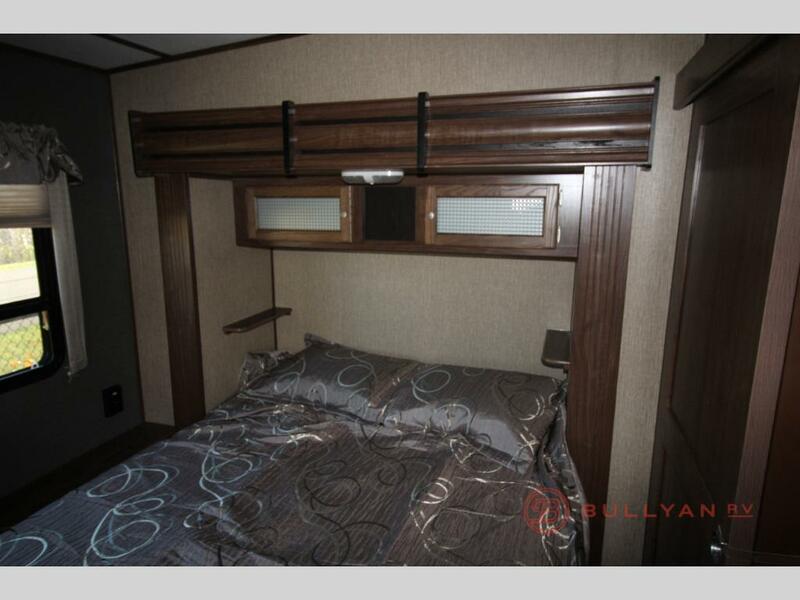 On the other end of the fifth wheel is the living room, with tri-fold sleeper sofas, second HD TV, and private access to a half bath – perfect for your guests and children. At 33% off, you need to act fast! 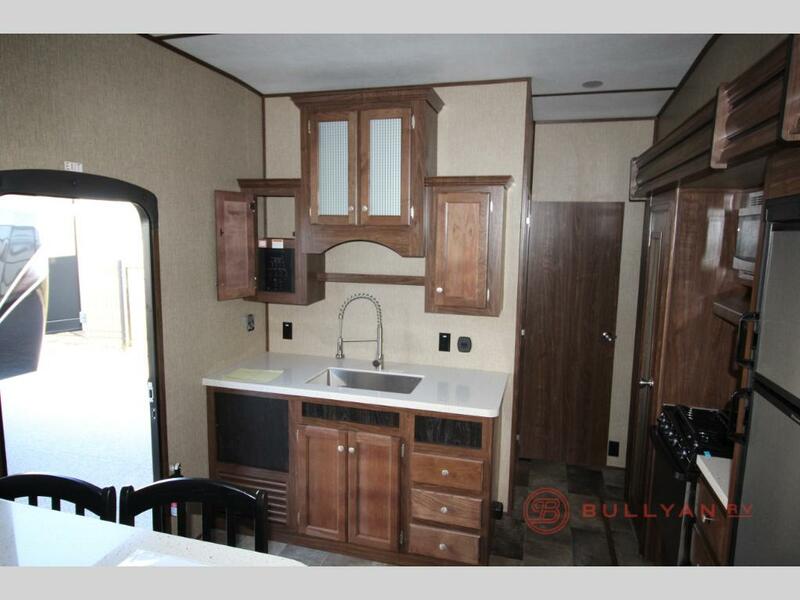 Contact us if you’re interested in seeing this model or any of our other Keystone Sprinter floorplans. 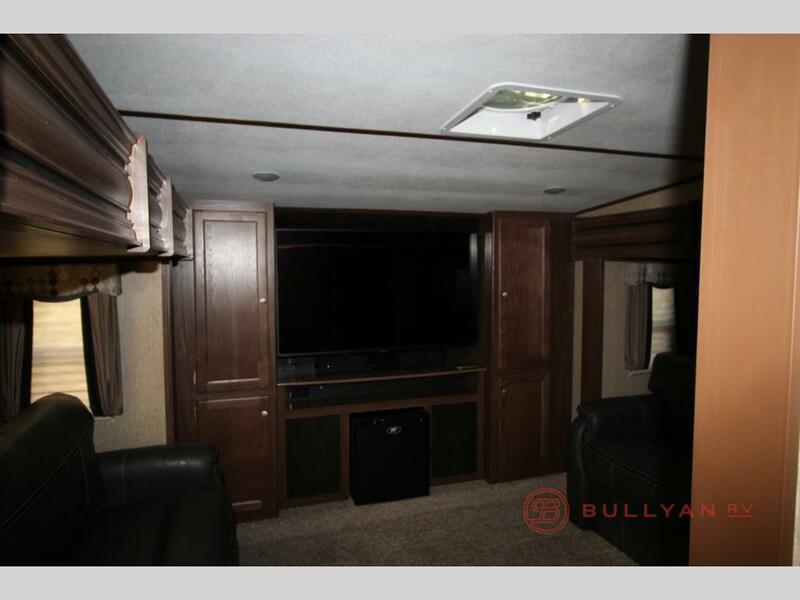 You can have both luxury and affordability that we’ve shown in this brand new 2017 Keystone Sprinter 359FWMPR RV review. We want to help you enjoy all that the open road has to offer!